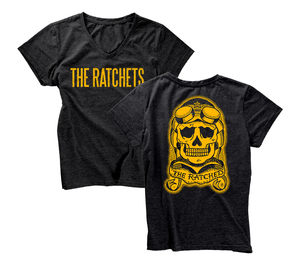 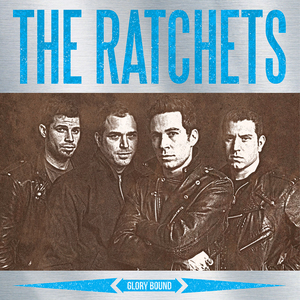 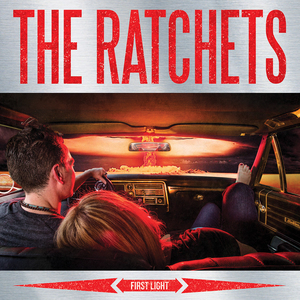 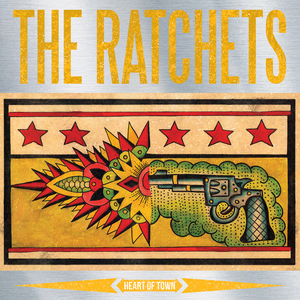 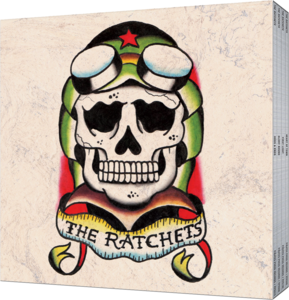 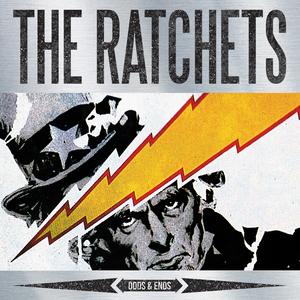 The Ratchets "Logo" vinyl sticker. 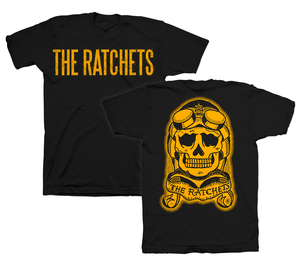 Black ink on brushed chrome stock. 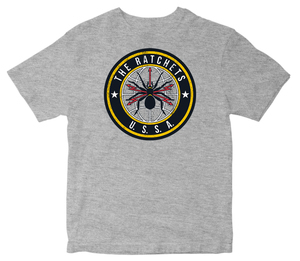 Measures 2"x 6".